Failing your FTCE Elementary Education K-6 test can tax you both emotionally and financially. However, a few simple but effective FTCE study tactics can help you avoid failure. Without a passing FTCE test score, you cannot practice your profession. This can make you take a lesser paying job as a teacher’s aide at best. Worse, it can leave you totally unemployed especially in this tough job market. If you fail FTCE Elementary Education test or any other test, for example, the FTCE math 6-12, it’s also bound to make you feel hopeless and eventually feel like giving up on your dream of inspiring the next generation. In fact, it can even drive you to the brink of depression, especially if you’ve been trying really hard to pass it but keep doing the same things wrong over and over again. If you’ve taken the FTCE Elementary 6-12 a couple of times already and failed at each attempt, it’s time for you to do something about your preparation so you can finally get a passing score! What should you focus on in your limited FTCE Elementary Education test preparation time? Do you have enough prep time to get a passing score on your quickly approaching exam date? Go to: FTCE Practice Test Questions — to see a FREE Guide: “How To Pass The FTCE Elementary Education 6-12” now. Tired Of Failing The FTCE Elementary? If you’ve failed the FTCE Elementary test before, you need to make sure you pass it this time around. To do this, you’ll need to do something different in your exam preparation. You can’t expect to have a different result if you’re doing the same thing in your test prep practice for the FTCE Elementary K 6 test. So you should learn a study guide technique that will ensure you’ll have a more effective preparation for the exam. Fortunately for you, I can help you with this. As an expert FTCE Elementary test prep coach, I can give you tips to improve your review for this test. And this is exactly what I’m going to do in the next section. The Best Study Technique For Your FTCE Elementary K 6 Preparation! The study technique I’m going to teach you is arguably the best one you’ll ever see. I call it the “AIM” study technique, much like how a sniper aims at his target and hits it. The “AIM study technique will definitely prevent you from having another unproductive preparation. Thus, this study technique will help you pass the FTCE Elementary test this time around. A – Assess what you did wrong in your previous preparation for the FTCE Elementary K 6 exam. For example, did you take only a couple of practice exams before? Did you rely too much on memorizing the things in your FTCE Elementary test study materials instead of understanding the concepts behind them? Identifying the things you did wrong before will help you become aware of the things you need to change in your preparation now. I – Include additional action points in your study plan that specifically addresses these mistakes in your previous preparation for the FTCE Elementary K 6 test. If you didn’t answer a lot of practice tests before, make sure you devote more time to take more practice tests this time around. Similarly, if you were procrastinating in your FTCE Elementary exam preparation before, make a conscious effort to prevent this from happening again. M – Make sure you focus on your weak areas this time. Since this I your second or third time to prepare, you must have already mastered the topics you’re already good at. So put more effort into mastering the topics you got low scores in the previous FTCE Elementary K 6 tests you took. You certainly don’t want to fail the FTCE Elementary test again. You already want to pass it so you can start on your teaching career. You want to enjoy the benefits of being a certified teacher in Florida. And so you need to master the FTCE Elementary Education study guide technique I just taught you. If you can do this, I don’t see any reason you’re not going to have a more effective preparation. Set Up A Practice Test Schedule – And Stick To It! Are you studying for your Elementary Education K-6 exam whenever you can spare the time or don’t have anything more enjoyable to do? If your review sessions take last priority and you’re looking into the mouth of this ugly exam, then chances are you’re risking failure. Few people are able to pass the Elementary Education dabbling a little here and there. Your preparation schedule should be treated like your current job or a college class. You must schedule it and always show up on time and on schedule. Whether you devote an hour after dinner each day to your practice questions or prep book for the FTCE Elementary or use your lunch break, create a definitive schedule for your review and stick with it. It will prevent you from putting off your studying until you have no choice but to cram the night before the test. And that rarely leads to passing the Elementary Education K 6 exam. You should take a practice exam as a diagnostic tool before you open your FTCE study book and one-on-one help. 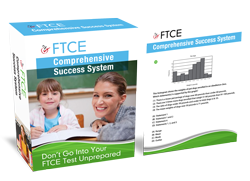 Make sure that you have FTCE K 6 preparation manuals that contains plenty of great practice questions that are very close to real test questions. A testing readiness assessment for Elementary Education K-6 is one of the most valuable tools that future Florida certified teachers can use. Because you can only improve on something you can measure. You won’t know if you’re improving unless you assess measure your progress regularly. Use this information to create a test prep plan every 7 days or so. After each sample test, see where you need more improvement and what areas of the exam you can put on the ‘back burner’ for a while. Your study plan must emphasize putting your time and energy into bringing up your lowest test taking skills and content knowledge. Continue taking diagnostic practice tests every week as it will help you move from point A to B (from test preparation to success as an certified elementary teacher in Florida). No matter how powerful your preparation guides may be, sometimes you’re going to need the immediate feedback of a real person. After all, what happens when you have a burning question that your preparation materials can’t answer? That’s when you need real-life help from a certified Florida educator who can coach you through even the toughest parts of the Florida teacher Elementary Education K 6 examination. Best of all, a Florida educators who was once in your exact shoes – so they’ll know the dirty secrets, hints and strategies that you’ll need to finally get a classroom of your own! Your highly effective FTCE Elementary Education K 6 test prep will be the stepping stone towards your Florida teacher certification – so make sure that you use them to their maximum potential! Go to: Shocking FTCE Practice Test Info To Crack The Code Of Your Exam now.